People who are hard of hearing or partially deaf, often use a hearing aid, but using a hearing aid can take time and effort to master the use of - and many people do not know where to turn. But thankfully, this is where such charities and support groups as the Royal National Institute for the Deaf come in. The RNID, as it is more commonly known, offers several different types of support for deaf and hard of hearing people and one of the most valuable of these is the Hear to Help project. The Hear to Help project is, at its most basic, a project which teaches people who to get the most use and the most value out of their hearing aids. The help on offer from the RNID as part of the Hear to Help project is wide and varied. It is more than just a few lessons in how to use the hearing aid, as the project is all about helping people to manage their hearing loss effectively, with the help and use of a hearing aid. Therefore, as well as practical help in the use of a hearing aid, the project provides signposting services to other services available to deaf people. The main way in which the project helps, though, is twofold. One is to make sure people know how to use their hearing aid, be it keeping it clean, changing the battery or general maintenance. 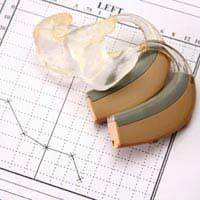 The other is advice on making the most of the hearing aid and advising on how the user may hear things differently as well as more clearly once they start using the hearing aid. The Hear to Help team can also assist with minor repairs and other specialist hearing aid help and assistance. The Hear to Help project is aimed at helping people who need it, when they need it. For this reason, the healp on offer is free of charge and usually done at the patient's convenience, through either a home visit or through a drop in session at a convenient location. There are currently 13 Hear to Help locations across the UK. The RNID is hoping to grow the service to enable it to help more people in a wider range of places but, as the services are free, it is reliant on funding from health and social care bodies in order to expand the range of places it works in. The RNID is both a campaigner on behalf of deaf people to ensure they have access to everything they are entitled to, and a supplier of some of these services on behalf of local councils and even the Department of Health. Therefore, even if the Hear to Help project is not currently running in your area, you should be able to access some support from the charity by calling its helpline or visiting its website and asking the questions which you need answered. The charity exists to help people, and just because this one project does not run in a certain area does not mean that people in that area cannot access the help and support to which they are entitled.